With just three days to the December 10 re-run elections in Rivers State, the deep-seated animosity between the governor of the state, Mr. Nyesom Wike, and his predecessor, Chibuike Amaechi, reared it head again yesterday, when Amaechi accused Wike and his party, the Peoples Democratic Party (PDP), of being responsible for the spate of killings in the run up to the 2015 and the March 19 re-run elections in the River State. But the state government immediately fired back, describing Amaechi’s allegations as a “sewage of lies”. The PDP also described the allegations a smokescreen by the Minister of Transportation to perpetrate violence and bloodshed in the state. In an interview with journalists at the Port Harcourt International Airport, Omagwa, and repeated in a broadcast on radio stations in the state, Amaechi alleged that Wike and the PDP cannot deny “ their involvement and sponsorship of the killing of innocent Rivers people and stalwarts of the APC (All Progressives Congress) in the 2015 general election and the March 19 re-run elections in the state”. He also said the cache of arms and ammunitions Wike recovered from cultists during the first phase of the Rivers State Amnesty Programme, was the evidence to buttress his allegations. According to him, “Wike has not denied he did not kill people, he sponsored those who carried arms in the 2015 general election, even during the campaigns, our people were beaten, manhandled and others threatened, leaving many dead, but we will not continue to allow these things to happen like that. When reminded that PDP and Wike had alleged the police and the Independent National Electoral Commission (INEC) in Rivers State had connived to manipulate election results in favour of APC, Amaechi said: “If Governor Wike and the PDP have justifiable evidence, let them present it to the general public and stop blackmailing me or INEC and the police. Amaechi argued that he was more popular than all those in the PDP, because when he left office in 2015 as governor of Rivers State, he had over 75 per cent support from Rivers people and other Nigerians resident in the state. According to him, “This is so because, as governor then, I overhauled the health and education sectors by promoting a free health care system and free education; over 10,000 teachers were employed, including the building of critical infrastructure, roads and youth empowerment, making Rivers people and other Nigerians to experience change. He urged the people of the state to disabuse their minds against comments by the PDP and Wike, which he said were calculated to rubbish him in the eyes of right-thinking persons, in order to score cheap popularity and further whip up public sentiments to heat up the polity. “On Wednesday (yesterday), I will also join the APC stakeholders to carry out further campaigns, while on Thursday, there will be a national campaign for the party in the state to indicate our readiness and preparedness for the re-run elections,” Amaechi said. He called on the Rivers people and other Nigerians resident in the state, including supporters and stalwarts of the APC to turn out en- mass to vote on Saturday, urging them to always protect their votes at election venues. “Before now, I used to tell my party members to vote and protect their votes, but there had been complaints of indecent attacks from the PDP, so I have asked the APC party members to protect their votes and their lives as well, because the PDP cannot be bigger than everybody everywhere,” Amaechi explained. Amaechi equally expressed total displeasure over what he called, “irresponsible comments” by Wike, stating that on several occasions, Wike has abused the office and privileges of the governor, especially his sudden interception of security operatives who were detailed by law to arrest corrupt judges in some states across the country. “During my tenure as governor, I never abused the office of the governor, because it is sacred and should be respected in all ramifications,” he said. 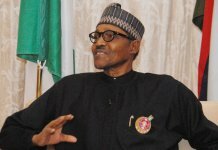 He added that President Muhammadu Buhari had assured the people of security during and after the elections and urged the people to go out and exercise their franchise. “However, it is gratifying to know that the Commander-in-Chief, President Muhammadu Buhari has assured the people of the security of lives and property in the state before, during and after the election. “Mr. President has graciously provided adequate security through the length and breadth of the state. I therefore, enjoin you all to come out en masse and exercise your civic right on Saturday. “To this end, the reign of terror in some of our local government areas leading to senseless killings will not be tolerated as the security agencies have been directed to ensure the safety of all, before, during and after the elections. “I therefore, implore you all to come out and exercise your rights to vote now that you have a chance to vote and your vote will count, choose wisely, vote APC,” Amaechi said. But in its reaction, the Rivers State Government described Amaechi’s allegations as a sewage of lies. The state Commissioner for Information, Dr. Austin Tam-George, in a statement issued in Port Harcourt yesterday said Wike does not need arms to defeat the APC in Rivers State. Tam-George said Wike’s impressive record of service delivery had won over the hearts of the Rivers people. The commissioner said on the contrary, the APC in Rivers State was suffocating under the weight of Amaechi’s disastrous legacy as governor of Rivers State for eight years. “Rotimi Amaechi is probably the most toxic political personality in Rivers State because of his history of financial recklessness and visionless leadership during his time as governor of Rivers State,” the commissioner said. According to the commissioner, funds meant for the payment of salaries of workers and pensioners were diverted by Amaechi to sponsor the political activities of the APC, thereby plunging millions of families into abject poverty and misery. Tam-George pointed out that Amaechi was indicted by a court-approved Judicial Panel of Inquiry for stealing public funds. The commissioner asserted that while the APC-led federal government might have granted Amaechi unofficial amnesty, the Rivers people have a long memory, and would continue to reject Amaechi and the APC in Rivers State. He maintained that Amaechi’s attempt to steal the mandate of the people on Saturday through the force of arms would be resisted and defeated once again. The PDP in the state also described Amaechi’s allegations as a smokescreen for the past governor to commit more violence in the state. The state Publicity Secretary of the PDP, Hon. Samuel Nwanosike, told journalists in the Port Harcourt yesterday that Rivers people were wiser and would not be deceived by Amaechi again. He said Amaechi was only looking for excuses for his woeful performance in the elections in the state. “It is a shame that Amaechi will accuse Wike and PDP for killing people in Rivers State. Rivers people are wiser and cannot be deceived by Amaechi again. “They know who has been behind the killings. Who killed a pregnant woman in Tai Local Government Area of the State in the last re-run election? “All the killings were perpetrated by Amaechi and his cohorts in his attempt to cover up his failures and to come back to control the economy of Rivers State through his surrogate, Dr. Dakuku Peterside. But as the accusations and counter-accusations flew between Amaechi and Wike, the Nigeria Police Force wednesday gave a reason for the redeployment of the Rivers governor’s chief security officer (CSO). The police recalled that on November 17, 2016, during a peaceful demonstration of APC in the state, Nwosu was seen among the protesting party faithful in a manner prejudicial to discipline and displaying conduct unexpected of an officer of his calibre and office. “In the course of monitoring the public protest, an Assistant Commissioner of Police in charge of Operations in Rivers State observed the presence of the CSO among the protesting partisan crowd as illegal, unlawful and outside prescribed schedule of the duties of a CSO. “The active presence of the CSO to the governor in a partisan crowd of an opposition party to the governor in a clandestine and suspicious manner was considered mischievous and detrimental to the security of the state and public order and also contrary to his oath of office which constitute an offence against discipline. “The CSO to the governor, when challenged by a superior officer demonstrated brazen indiscipline and showed disrespect to the senior officer, exhibiting conduct that violates all known norms of the force. “Accordingly, the CSO was officially queried for discreditable conduct, insubordination, engaging in partisan political activities, illegal duty and acts unbecoming of a public officer,” the police said. It added that owing to gross misconduct and apparent partisanship, the Inspector General of Police (IG), Mr. Ibrahim Idris, ordered the redeployment of the CSO, pending further disciplinary action. “To this end, the IG has also constituted an investigative inquiry into the officer’s open engagement in political activities, disrespect to senior officers and unethical practices. “It is absolutely imperative that the police and police officers are insulated from partisan politics. The IG therefore warned all police officers in any capacity to desist from acts that portray the force in a bad light and question the integrity of the personnel. “In addition, any police officer, especially CSOs, Aides-de-Camp (ADCs), and orderlies attached to political officer holders or senior government officials who engages in activities outside the official schedule will be removed and made to face severe disciplinary action,” the statement said. The police maintained that redeployment of the CSO to Wike must not be misconstrued or misinterpreted as widely reported in the media, noting that the Police Force must not be drawn to direct partisan politics and acts that are inimical to peace and public order. “The governor as chief security officer of the state is at liberty to select any officer of his choice from the strength of the command to serve as his CSO, but under no circumstance should any officer abandon the security of his principal and legitimate duties to engage in direct partisan politics or conversely should any political office holder use police officers attached to them for political machinations,” it added. Also, the police wednesday warned politicians in Rivers State to shun violence during the re-run elections, insisting that no politician would enthrone himself with the power of the gun. Speaking during INEC’s interactive meeting in Port Harcourt, the IG said the police would not allow any politician to use guns and thugs to truncate the electoral process. “We will not allow anyone to enthrone himself with the power of the gun. Votes must count in this election. We know where problems will come, so we have strategised to provide adequate security to allow the citizens to exercise their franchise. “We will attach at least five policemen to one unit. We have also deployed 350 patrol vehicles to be kept at strategic positions for intervention response. The vans will be manned by armed security personnel. They will be stationed at a distance and in case of any violence they will intervene. They will be there waiting to apprehend those who will want to truncate the process. “Three commissioners of police have been deployed to man each of the senatorial districts. Two units of Mobile Police men, three helicopters and 18 gunboats have also been deployed,” he said. The IG also said that human and vehicular movement will be restricted in the state from 12 a.m. to 8 a.m. on Saturday and urged people of the state to comply with the order to ensure a peaceful and smooth electoral process. Similarly, INEC warned politicians against intimidation of electoral officials during the elections. INEC Chairman, Prof. Mahmood Yakubu, who spoke through the commissioner in charge of the South-South states, Dr. Mustapha Leki said: “INEC condemns in a very strong terms, provocative and dangerous comments being made by some political actors, all of which are capable of inciting people to commit violent acts that could again derail peaceful election in Rivers State. “We therefore call on stakeholders to refrain from making pronouncements that could either overheat the state or instigate party loyalists to violence. Meanwhile, the chairman of INEC also said thursday that the commission has instructed security operatives to investigate allegations of thump printing of electoral materials in Rivers State, just as the president swore-in six new commissioners for the commission. The swearing in was conducted inside the council chamber of the Presidential Villa in Abuja. The six nominees included Ogunmola Ladipo, former THISDAY Lawyer Editor, Mrs. May Agbamuche-Mbu, Abubakar Nahuche and Okechukwu Ibianu. Others were Mohammed Haruna and Ahmad Muazu. Speaking after the swearing in, Buhari said the appointees were persons of integrity. He urged them to bring their integrity to bear while discharging their responsibilities as commissioners. 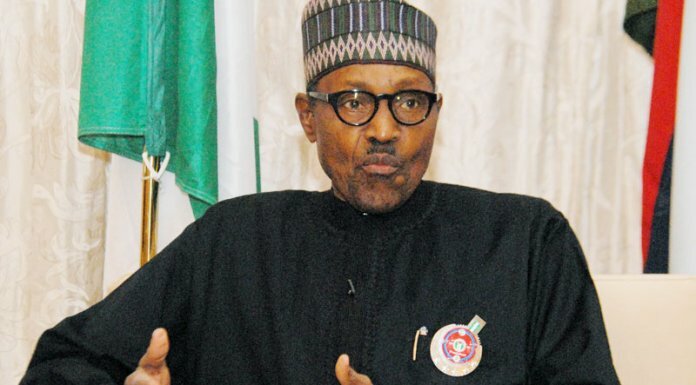 Buhari said: “This administration will demand of you to be firm and fair. What this administration expects is that after we have left, Nigerians will look at the political history and know that we served Nigeria. Speaking on behalf of the other commissioners, Mr. Ibianu thanked the president and Nigerians for “the opportunity to serve the country”. According to him, all the commissioners pledged to discharge their responsibilities in line with the oath of allegiance and office they had sworn to. Responding to questions from journalists after the swearing in, the INEC chairman said the commission would not be distracted by the allegations made by politicians. He said he had heard of the alleged thumb printing of sensitive electoral materials in Rivers, adding, however, that the commission did not have such materials in Rivers. He said: “At the time the allegation was made we had not even awarded the contract for the printing of the sensitive materials. So, it came as a huge surprise to us. But we have gone ahead to invite the police and the State Security Service to investigate the matter because we are also interested in getting to the bottom of it. “But it is really strange to say that INEC will print fake materials for elections. It’s like accusing the central bank of printing fake naira notes. Then who has the original? “However, INEC is poised to consolidate on the achievements of the 2016 elections, so we will not be distracted by the allegations, we would do what we have always done to the best of our ability, bearing in mind that we have a responsibility to the Nigerian nation. When asked to react to the allegation that names of members of the APC had been included as INEC returning officers for the Rivers elections, Yakubu said he had heard the allegations. He said that it was common to accuse the commission of compromising the recruitment exercise after each election, but assured the journalists that the allegations were false. 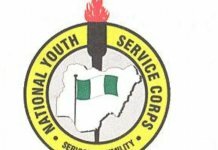 He said: “The standard practice is to recruit ad hoc staff from the NYSC and where there is a shortfall we recruit from federal tertiary institutions. And for Rivers, there was a list from the University of Port Harcourt to make up for the shortfall in ad hoc staff. Yakubu observed that the swearing of the new commissioners would help the work of the commission. 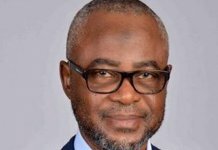 He said that with new set of commissioners, INEC now has the full compliment of members of the board, a chairman and 12 commissioners.